The Material Handling Store opened in Greenville, SC in 1976. Since then we have associated ourselves with protective packaging partners that provide reliable, durable, high quality bubble and foam products that improve your package, protect your product, and increase your profits by reducing damage and improving productivity. 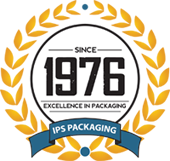 Our experienced sales team averages more than 12 years of experience in the industrial packaging industry. They can help you identify the best product for your specific application. We also have outstanding customer support services with a knowledge of all products. We strive to have the best, fastest, and friendliest service in the packaging industry. Furthermore, our warehouse staff is ready to pick, pack, and ship to your door for same day shipping from one of our 100,000 sq. foot warehouses.